I used to be a big fan of the police. I grew up watching Adam-12 on TV and had that image of the police instilled in my head. I saw cops as the heroes, the good guys, those who were there to "serve and protect." I used to think that if there was a problem you could call 911 for help. But now I have to first ask myself beforehand "Will this make things worse if I call? Will it escalate the situation and cause harm, even possibly resulting in killing?" For example, if I see a homeless guy acting erratic -- so that I am concerned that he may be a danger to himself or others -- I would want to be able to call the police, believing that they would send someone who is trained in how to help him and keep him safe. Instead I need to consider the possibility that the police may come and kill him on the street. That is not hypothetical. It has become almost a common occurrence that the mentally ill are killed by police, rather than helped. So while I began with a positive "Adam-12 view" of the police as a kid, and carried that view into adulthood, that view has changed. The reason it has changed is primarily because the prevalence of cel phone cameras and social media has allowed me, as a middle class white guy, to see and understand the experiences of people of color and the very different way they experience the police. So while one can indeed trace a trend of the police becoming increasingly militaristic, a big part is also simply me being able to see the reality those less privileged than I have experienced for a long time. So Adam-12 is not something that belongs to the past, but is more a picture of what the police ought to be like. Police ought to be there to make things better, safer, and just. However, rather than using techniques to deescalate a situation, police commonly escalate situations, making things unsafe and often deadly. They make things worse, and because of that, I hesitate to call. I used to think that the police were there to help. Now I think of them as dangerous, unsafe, and incompetent. Incompetent when it comes to knowing how to deescalate a dangerous situation. Instead they escalate. Now let me stress that I am not a pacifist. If I felt that I was in danger, say if there was someone trying to break into my home, I would definitely call the police, and would be glad that they had guns with them. That is the extreme situation. But there are lots of other situations where that military approach is completely unnecessary and wrong. For example with killing mentally ill people, rather than helping them. So while I used to trust the police, I find that all the stories of them killing the mentally ill, and killing people of color -- and doing so with complete impunity -- has eroded that trust. In its place is mistrust. I have come to see the police like I would see an occupying military force. I experience them as a danger. I fear them. In an emergency I would still call 911, but I always have to ask myself if doing so would make things worse, and often don't call because of this. When I think about how resistant police unions have been to reform in these areas -- including resisting training proposed by the DOJ to teach police how to deal with implicit bias, provide tools for deescalation that keep both officers and citizens safer, and focus on "community policing," rather than seeing citizens antagonistically as "bad guys" and threats -- it becomes abundantly clear that this is not simply a matter of a few bad apples, but is a systemic problem with deep roots in the culture of the police force. That police culture, rather than learning from these insights, has become increasingly militaristic, antagonistic, and dangerous, resisting any kind of reform or education. If you speak out for reform, whether from within the police or from without, you will be labeled as anti-blue. In many ways this loss of trust in the police parallels people's experience of losing their faith. Just as the Catholic church acted as an institution to cover-up scandal and wrongdoing in the church, the police unions also seek to block reform. Just as abuse from a priest erodes our trust in religion, the deadly and inhumane actions of the police erodes our trust in the law and in our legal system. Finally, just as I am sure there are plenty of good and loving people sitting in the pews and behind the pulpits of churches, I am also sure that there are plenty of good cops out there, too. That being the case however does not help the very real systemic problem that perpetuates a culture of militaristic violence in the police force and resists any kind of meaningful reform. So I find myself in the same place with the police as I do with my faith. I still consider myself a Christian and believe in the way of Jesus, but I need to constantly stress that I do not support -- and in fact am profoundly morally opposed to -- what conservative evangelicals support. Similarly, I still believe in the police of Adam-12; I believe that they could be good. I hope we can get to that. Not in a naive-childish way (the show was admittedly pretty naive), but in a deep, realistic and grown-up way. However that means repentance, and not just the repentance as individuals (which while important, can function as a scapegoat for the system), but also the repentance and reform of the system, too. That is the only way to get to real justice. We are a long way from that. At best we are, I am, at a place of seeing the sin of the system. Just as I have come to see the sin of my faith, I also have come to see the sin of my country's criminal justice system. That is hard to face, but it's important to face, and I am grateful to Black Lives Matter and others for shining a light on this. It would be easy to disassociate myself from both my faith and the police, to see myself as good and "them" as bad. But I want to try to own it. This is my faith, my country, and it is profoundly broken and in need of reform. P.S. If you would like some ideas of what that reform could look like, here is a good place to start. Part of the problem is that government (at least here in Canada) has seen fit to release more mentally disturbed people onto the street and expect the police to care for them. Yes, in the United States prison has become the de facto place to "care" for the mentally ill. Not surprisingly the prison environment makes their condition worsen. Thank you for this, Derek...my journey is much like yours. Written on the side of the Adam 12 car was the motto, "To Serve and to Protect." What happened to that? 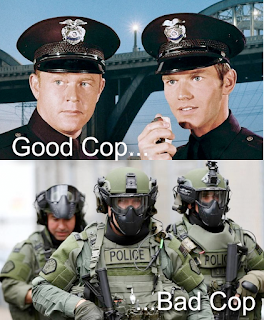 Where have all the "Peace Officers" gone? We need more Christian police officers who would rather die in the line of duty than kill an innocent fellow citizen. I know two such officers, altogether too rare. One retired early because of his disfunctional department and the other is on the way out. 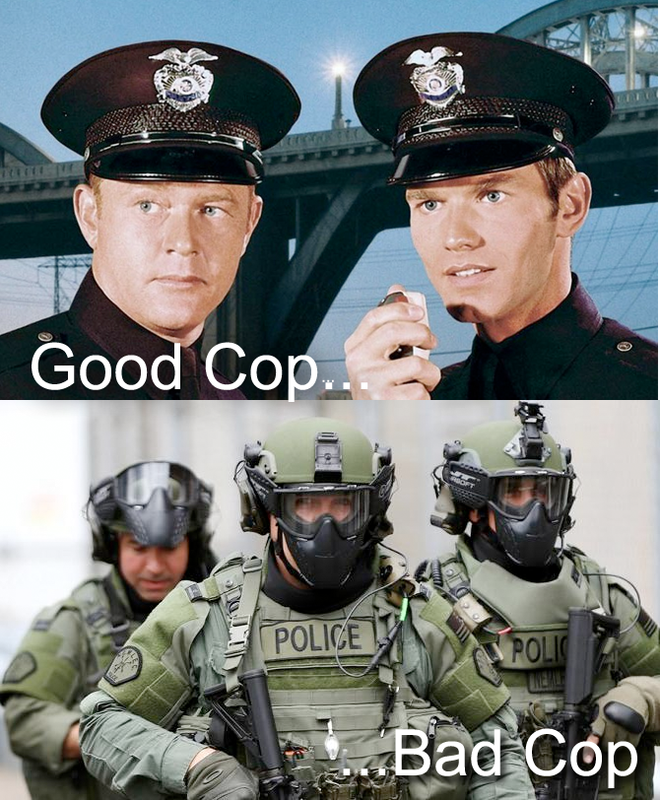 With the militarization of the police has come great emphasis on the new and oft repeated phrase, "Officer Safety." While we all want safety for these servants, "Officer Safety" has been so drummed into the current training that they are encouraged to have a hair trigger and to escalate to deadly force at the slightest hint of a threat. And their fear begets citizen fear, especially for racial minorities. Because of this, I do not blame those who do not call 911, rather, they arm themselves and protect their families. There was great protest in my town when the police department received a free military vehicle, so the sent it back. We need more of that. Yes, just as both implicit and implicit racism are present in the larger society, the same is true within the police force. They are, after all, populated by flawed people who are prone to the same sins as everyone else. So it's good that you brought that up. Give this we need to find ways to recognize and deal with that reality, rather than pretend that (as some do) explicit and implicit racism is not there. 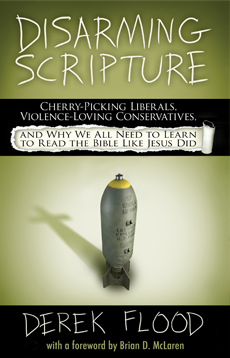 You would think that this kind of idea that we are sinners would be one familiar to conservative Christians. But I often hear them denying this, or at best minimizing it. That frankly baffles me. Great observations! Yes I've heard lots of veteran cops complain that they are appalled at what has become of the police force, and how irresponsible and reckless things have gotten. Many have resigned as a result. Could you link to an article that discusses how "Officer Safety" has led to training encouraging hair triggers and escalation to deadly force at the slightest hint of a threat? I was not aware of that connection and would be interested in learning more. While I don't blame those who have guns to protect themselves (I have a baseball bat), I'd rather have all of us look for ways to reduce violence while staying safe. After all, a hair trigger dad is not any more safe than a hair trigger cop, and in fact studies show that that dad is far more likely to kill a family member with that gun than he is to shoot a criminal. I fear that the increase in weapons sales has made us all much less safe, rather than safer. What I'd like to see is people being informed about other options, just like we want to police to be aware of other options. Among those other options is understanding how to deescalate volatile situations, as well as practical things like alarms and locks and basic safety practices. I read the article about the officer training 2 or 3 years ago and don't have the link. I do keep a lot of links for things I've read (in Evernote) but I didn't keep that one. Sorry. Derek, I share every one of your concerns, and believe you are on target. I think the red lights are flashing on the dash board; however, I believe what you describe still represents a gross minority of our police culture, and I choose to trust that in most cases a call to the police will not escalate a given situation. That being said, I agree that the trend seems to be increasing. I also agree with your comment re: the police unions. While I am totally pro-labor, I see some limits to the effectiveness of many unions. They tend to becomes ends in themselves, rather than means toward more just labor conditions. If, as you indicate (and I have no data by which to challenge your statement), the unions are resisting additional training, you may have identified a key element in turning the unfortunate trend around. Are you familiar with the training some European police are receiving related to de-escalation of potentially dangerous situations? Please keep writing. You are an inspiration. Thanks for your comments. To clarify, I did not mean to imply that the majority of cops are "bad cops" and don't doubt that most cops are good people. Rather my intent was to stress that the issue is not simply one of individual misconduct, but also that the problem involves systemic/institutional aspects which prevent reform and accountability from happening, and perpetuate a militaristic, escalatory, and antagonistic relationship with citizens. So to address this, these systemic issues need to be dealt with too. I am not aware of the de-escalation training in Europe, but would love to learn about it. Can you provide a link and/or tell us more? For example, the DOJ just released a report on the SFPD where it found, in the words of the person who headed up the report, "a very serious problem with the culture in the department. It appears there has been a lack of meaningful accountability for a long time and that race bias is part of that culture." That played out in records not being kept, and investigations into officer involved shootings being in limbo for years. That's an example of a systemic problem where the system enables bad cops to not be accountable. Further, the report found that there was a culture, which one might describe as an "old boys club" which tended to hire and retain cops who fit into that culture, which was very out of step with the values of the community that it serves... and also out of step with the DOJ which promoted deescalation training (only 20% of the SFPD have had this) and a focus on "sanctity of life" in relation to use of force. The cops of the SFPD, in contrast felt that there was really no problem with their use of force... illustrating how out of step they are with the community they serve. You touch on many matters and it behooves us to weigh them well. This strikes close to home. 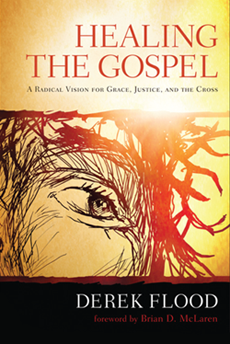 I want to identify as a Christian; yet God's kingdom peace and justice are conspicuously absent from church culture. Indeed, I find much more commitment to kingdom values in the socialist party to which I am an adherent. The militarization of police is an expression of changing relations between the political/ruling class and the nation. The US drive toward war, including WW III, requires increasingly repressive measures at home. After his defeat in the November election, Donald Trump -- who has already informed his political sect is rigged -- I expect to see the locus of decision making moved from the Halls of Congress into the streets where his devotees will form an extra-parliamentary movement on the streets. As I see it, open challenges to formal political authority, plus unrest at social conditions, plus the drive to war have all been anticipated. These REQUIRE [from the ruling class/bourgeoisie perspective] a militarized response by police, and a court system which routinely vindicates police while handing down political decisions swiftly [to borrow the words of Polish General Wojciech Jaruzelsk in the days of the Solidarity movement]. I'm not at all convinced that the church HAS a place for me. Yes being a voice for peacemaking is very counter-cultural in America -- including in American Christianity. I guess you need to be an "evangelist" in your own church in that regard. It really is good news to learn, as Jesus says "what makes for peace." GD, you present some frighteningly valid points. The idea of a general movement (whether intentional or reactionary) toward an increasingly authoritarian state/nation needs to be addressed. And I agree that many (perhaps most, considering that "the church" no longer represents a majority of Americans) Christians are more or less oblivious to historical and political "dynamics which most shape the course of events in history." I am thankful to be a part of a small church, made up of people, most of whom are aware of and active in those historical and political dynamics; however, your perspective probably needs to be heard in that setting. Let's keep in perspective that the group who is threatening an armed revolt if Trump does not win are predominantly uneducated conservative white Southern men. This is the same group who is pro-gun, pro-military, pro-torture, and pro-militarized police. They are seldom the victims of a militarized police or of mass incarceration. By far the predominant victims of violent militarized police and mass incarceration are people of color. So in sum: the group of people who really have no reason to feel persecuted, and who traditionally are opposed to and unsympathetic to those who are actually the victims of the militarized state and who have supported the militarization of the state, are the ones who feel they need to "rise up" now. So while their "persecution" is not real, the danger they pose is very real. I heard a story of a guy on NPR who said he was planning on joining a militia for the coming "war." That used to be the talk of some fringe person in the KKK, not something you would hear in NPR. Bu this election cycle has made dangerous fringe ideas mainstream. That's okay, Derek. I've lost faith in your ability to take the specks out of our eyes. Not just you, but liberal America in general. The BLM organization especially would be better served by concentrating on removing the planks in their own for a while. I see you wrote this not long after the Keith Scott shooting. I was a deputy in Charlotte for four years. Officer Vinson is a good man and a good cop. He's the real victim in all this. He's the outcast, the scapegoat, the trampled and downtrodden. He's the man whose life, psyche and career are destroyed because he made a decision to acost an illegally armed felon and then had to make the decision to save his own life. Then the masses, moved by lies on Twitter, and then by video just unclear enough to speculate on, took to the street to mostly protest but also to assault innocent passers-by, throw large stones off of overpasses at motorists, loot local businesses, murder a man, attempt to murder some others, assault a bunch of cops,etc. etc... I'm not saying the left, I guess I'll call them, has no valid complaints with regard to the police. But that movement needs to organize and police it's own ranks before they can ever police the police. Disarming the scripture is one of the most influential books I've ever read, but I think you've lost site of the objective, man.